High quality curriculum and great faculty are the pillars of our school. Subjects Mathematics and Mathematical Methods are the foundations of our Math programme. Various advanced and university level topis such as Differential and Integral Calculus, Complex Numbers and Vector Algebra are included. Members of our Department of Mathematics are top teachers in their fields. 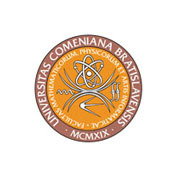 They are teaching not only at Gamča, but also lecturing at Fakulta matematiky, fyziky a informatiky Univerzity Komenského (Faculty of Mathematics, Physics and Informatics of the Comenius University in Bratislava; the oldest, biggest and best university in Slovakia). They are also authors of various Math books used nationwide. Our science subjects consist of not only the regular theory classes, but include also laboratory sessions, during which students can practice their learning. English is our first foreign language and we teach it on average 3 lessons per week. 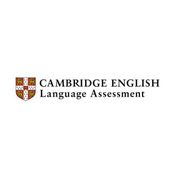 Our students can select from FCE (First Certificate in English) and CAE (Certificate in Advanced English) Cambridge certificates, some are successfully passing also TOEFL and other tests. German is our second foreign language and we teach it on average 3 lessons per week. 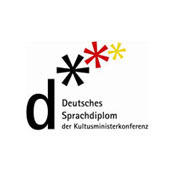 We are a member of the 1800+ schools global network Schulen: Partner der Zukunft , thus we prepare out students for the Deutsches Sprachdiplom certificate.